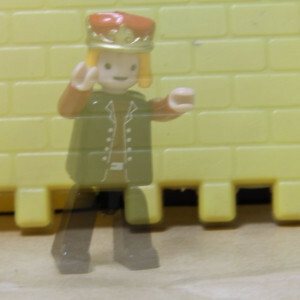 Today I have an extra scary photo tip for you – how to photograph ghosts. The trick is actually simple, we will take a simple, everyday and solid object or person that will play our ghost – we will take our photo and remove the “ghost” from the scene in the middle of the exposure so it leaves a ghostly semi-transparent image in the final picture. There are just a few simple tricks you need to know. First, the background, you need your background to have lots of detail that will show trough the ghost, a solid color background or a background with very little details will just not create the ghost effect. Also, the background has to be a very different color than the ghost, if the background and ghost are of similar color the background will “fill” the ghost and make it look solid. The second thing you need is a long exposure, I use 10 seconds because if we use a shorter shutter speed it’s difficult to time the rem0oval of the ghost and if we use longer shutter speed it makes it to likely something that shouldn’t move will move and ruin the shot – especially if there are people in the shot. Obviously for 10 seconds you will need a tripod or some other way to steady our camera, a remote shutter release will also help because it will let you take the shot without touching (and moving) the camera. Even more obviously, you don’t want flash (flash will “freeze” the scene and make the ghost solid but blurry instead of transparent), normal indoor room light will probably be just fine. You can switch the camera to S or Tv mode, set the shutter speed and let the camera choose the aperture or use manual mode and set everything yourself. You will want a small aperture, on a DSLR probably around f/11, so the background will be in sharp focus and show trough the ghost, luckily with such a long shutter speed you will need a small aperture to prevent over exposure – you may want to set your ISO to a low value to prevent the aperture from being too small. Now that everything is ready, get everything and everyone (including the ghost) into the right pose and start your exposure, at some point during the long exposure quickly remove the ghost (or, if the ghost is a person get him/her to run out of the frame). From my experiment you should remove the ghost about 70% into the exposure (that is, at second 7 out of a 10 seconds exposure), this will create an image that is solid enough to be clearly visible but transparent enough to see the background trough it. That’s it for today, happy ghost shooting. This entry was posted in Uncategorized by Nir. Bookmark the permalink.